The electric vehicle is gradually spreading to all manufacturers in the United States, under pressure from California. Kia offers will decline on one of its best-selling models, The Soul. Soul is not only one of best-selling Kia (behind the Optima), but it is also the best-selling small car in the United States (118,000 copies in 2013). 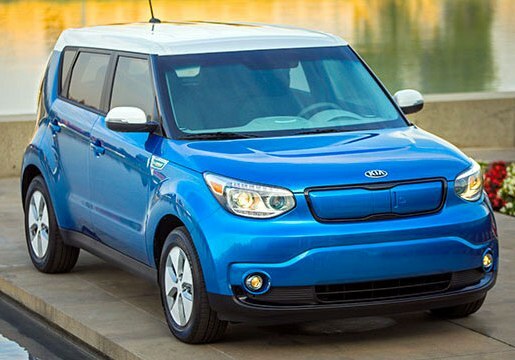 It is therefore that Kia has chosen for its first electric vehicle marketed outside Korea. Of what to adds on its young and modern image. The lithium-ion battery with a capacity of 27 kWh provides estimated between 130 and 160 km autonomy. The driver can intervene on its autonomy in operating modes. The Soul thus proposes to ride Drive or Brake mode (with more engine braking and therefore energy regeneration), and in both cases with or without Eco mode which accounts for its share of the power of the electric motor. This last power 81 kW/109 PS and 285 Nm allows 0-96 km/h in about 12 seconds, and top speed is limited to 144 km/h. For charging, the Soul includes two ports, SAE J1772 for AC load and outlet CHAdeMO for a load or continuous current 480V. For a 100% charge, count on 24 hours a standard 120V outlet and less than 5 hours on a Fastest 240V outlet will be a quick charger 50 kilowatts: 33 minutes for 80%. Marketing will begin in the most worn on the electric vehicle states: California and Oregon for the West Coast, New York, New Jersey and Maryland to the east. Before other regions according to the development of infrastructure. The price is for the moment not specified.